Every now and then I hear of new development in architectures that in the best of cases the idea lasts the time that it takes a colleague to analyse it and defy it. At the time of writing this article I have not heard anyone from the construction industry who has attempted to challenge the Fiction Factory people. They are the people who are making the claim that they can build Cardboard houses that last 100 years and are built in a day. 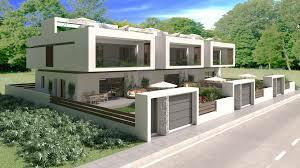 As they proclaim it is a golden opportunity to live in a sustainable environment and in an original construction. So as they are saying “Now, it's time for the buildings made with cardboard”. At first glance, cardboard doesn't seem like a suitable material for building. Yet, we have seen it done, either by award-winning architects using them for large-scale structures, disaster relief housing and even bridges. Dutch design studio Fiction Factory is now offering a micro-home constructed out of layered cardboard that they say will last up to 100 years. Fiction Factory, a studio established in Amsterdam, has been the creator of this revolutionary invention a proposal that we have to follow with attention. 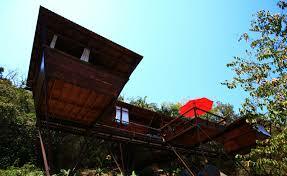 The house is made with 24 cardboard sheets obtained, previously, from Scandinavian trees. They are eco-friendly creations, light (only weigh about 600 kilos) and durable (they can still stand after 100 years). Dubbed the Wikkelhouse (literally "wrapper house"), the home is made out of durable corrugated cardboard that has been glued together with an eco-friendly adhesive. These sandwiched layers are then wrapped around one of the dwelling's modular segments 24 times using a large rotating machine, resulting in a strong and relatively well-insulated assembly. This one 1.2-meter (47 inches) thick, 500-kilogram (1,100 pounds) module can be then combined with other modules to form a larger structure, without the need for a monolithic foundation. The modular design allows for scalability, a flexible layout and ease of customization and assembly. After transporting the modules to the site, assembly only takes around one or two days to complete. The cardboard is topped with a waterproof, breathable film called Miotexand finished with an open façade cladding system of pine slats. According to the company, Wikkelhouses are expected to last for decades (the Miotex has to be replaced every 30 years); but the modules can be moved anywhere to be reused and are mostly recyclable. Windows can be added on anywhere. Amenities like kitchen, bathroom and shower are added via "smart home-segments", while the interiors have plywood panelling for the walls, resulting in a minimalist but naturally warm look. Each module costs approximately USD $4,500, with a completed version of a basic Wikkelhouse expected to cost around USD $80,000. Not only is this an intriguing contemporary design for a microhome, it's a fascinating new way to transform simple cardboard into a strong and insulating material too. Wikkelhouse was nominated for an ARC15 Innovation Award last year, and the company is now working on an off-grid version. Says Rick Buchter of Wikkelhouse: "Cardboard is so undervalued material. There is no other building material is so light, strong and insulating. Most people think of cardboard as a box or a packet of mail. Each tries himself to reason that it cannot be a cardboard house. But it can be excellent. We are just not used to it yet." In a garden, the beach, the mountain ... think about the place and they will install your new house in a day. In addition, you can choose the size of it and add modules (4.6 meters wide / 3.5 meters high / 1.2 meters long) based on your needs. The price is not bad either. You can have your exclusive cardboard house with three segments for 25,000 euros. If you are excited about the idea, you should know that they already have a waiting list. The company is only manufacturing twelve houses per year to ensure that all homes have the highest quality. And, to this day, they only distribute in the Netherlands, Belgium, Luxembourg, Germany, France, the United Kingdom and Denmark.